KM Construction Inc. has a gutter installation crew with over 20 years of experience. KM Construction installs seamless gutter systems cut right at the job-site. Properly installed gutter systems help protect your roof and property with a custom design runoff system. KM Construction Inc. has over 20 years experience designing and installing gutter systems in McHenry Illinois. KM Construction Inc. installs seamless gutter systems to increase visual appeal and provide a steady pitch towards downspouts to prevent leakage and damage to your home and landscape. KM Construction Inc. does not cheat on materials or service, we install 4″, 5″, and 6″ seamless gutter systems in several colors custom fabricated right at the job site. We believe in installing our products right the first time. 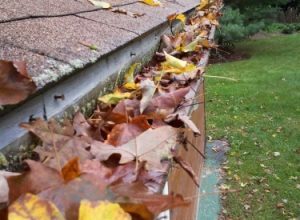 KM Construction Inc. understands the importance of keeping your gutters clear from debris to ensure proper runoff. Whether it is branches, leaves, or dirt we will clear the debris to ensure proper water runoff. KM Construction Inc. will clear all debris and ensure water can properly flow through the gutter system. KM Construction Inc. will clean your gutters for a competitive rate. Leave the ladder climbing to the professionals.